A pair of beautiful Spartan shield earrings made of gold plated silver. 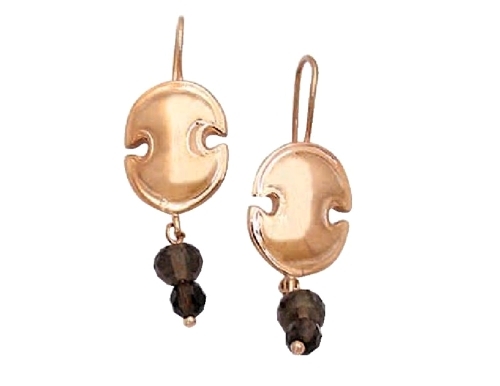 The earrings come with two smoky quartz stones each(as shown in the picture). They also come with a written authenticity guarantee in a beautiful jewelry gift box.